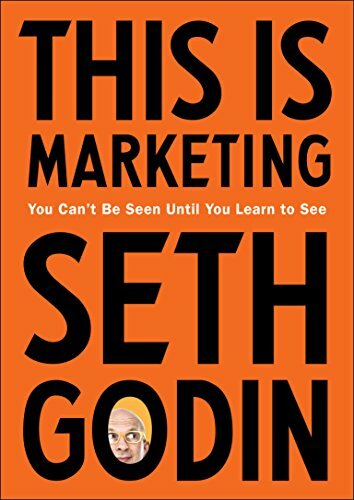 A game-changing approach to marketing, sales, and advertising, by bestselling author and renowned business thinker Seth GodinSeth Godin has taught and inspired millions of entrepreneurs, marketers, leaders, and fans from all walks of life, via his blog, online courses, lectures, and bestselling books. He is the inventor of countless ideas and phrases that have made their way into mainstream business language, from Permission Marketing to Purple Cow to Tribes to The Dip. Now, for the first time, Godin offers the core of his marketing wisdom in one compact, accessible, and timeless package.This is Marketing shows you how to do work you’re proud of, whether you’re a tech startup founder, a small business owner, or an executive at a large corporation. Great marketers don’t use consumers to solve their company’s problem; they use marketing to solve other people’s problems. Their tactics rely on empathy, connection, and emotional labor instead of attention-stealing ads and spammy email funnels. When done right, marketing seeks to make change in the world.No matter what your product or service, this book will teach you how to reframe how it’s presented to the world, in order to meaningfully connect with the people who want it. Seth employs his signature blend of insight, observation, and memorable examples to teach you:* How to build trust and permission with your target market. * The art of positioning–deciding not only who it’s for, but who it’s not for. * Why the best way to achieve your marketing goals is to help others become who they want to be. * Why the old approaches to advertising and branding no longer work. * The surprising role of tension in any decision to buy (or not). * How marketing is at its core about the stories we tell ourselves about our social status.You can do work that matters for people who care. This book shows you the way. Seth Godin is the author of 18 international bestsellers that have changed the way people think about work and have been translated into 38 languages – among them Unleashing the Ideavirus, Permission Marketing, Purple Cow, Tribes, The Dip, Linchpin, Poke the Box, and All Marketers Are Liars. He writes the most popular marketing blog in the world and speaks to audiences around the world. He is the founder of the altMBA, the founder and former CEO of Squidoo.com, the former VP of Direct Marketing at Yahoo!, and the founder of the pioneering online startup Yoyodyne. You’ll learn much more about him at sethgodin.com. Marketing is all around us. 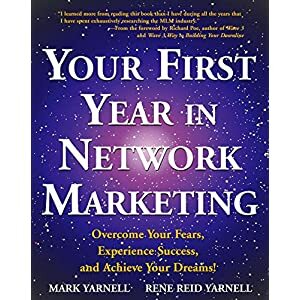 From your very first memories to the moment before you opened this book, you’ve been inundated by marketing. You learned to read from the logos on the side of the road, and you spend your time and your money in response to what marketers have paid to put in front of you. Marketing, more than a lake or a forest, is the landscape of our modern lives. Because marketing has been done to us for so long, we take it as a right. Like the fish who doesn’t understand water, we fail to see what’s actually happening, and don’t notice how it’s changing us. It’s time to do something else with marketing. To make things better. To cause a change you’d like to see in the world. To grow your project, sure, but mostly to serve the people you care about. Marketing seeks more. More market share, more customers, more work. Marketing is driven by better. Better service, better community, better outcomes. Marketing creates culture. Status, affiliation, and people like us. Most of all, marketing is change. Change the culture, change your world. Marketers make change happen. Each of us is a marketer, and each of us has the ability to make more change than we imagined. Our opportunity and our obligation is to do marketing that we’re proud of. That’s what most people seem to care about. How big a brand, how much market share, how many online followers. Too many marketers spend most of their time running a hype show, trying to get just a little bigger. The thing is, tall sunflowers have deep and complex root systems. Without them, they’d never get very high. This is a book about roots. About anchoring your work deeply in the dreams, desires, and communities of those you seek to serve. It’s about changing people for the better, creating work You’ll be proud of. And it’s about being a driver of the market, not simply being market-driven. We will do work that matters for people who care. If you’re like most of my readers, I don’t think you’d have it any other way. The best ideas aren’t instantly embraced. Even the ice cream sundae and the stoplight took years to catch on. That’s because the best ideas require significant change. They fly in the face of the status quo, and inertia is a powerful force. Because there’s numerous noise and numerous distrust. Change is risky. And because we frequently want others to go first. Your most generous and insightful work needs help finding the people it’s meant to serve. And your most successful work will spread because you designed it to. When you give a TED Talk, you’re marketing. When you ask your boss for a raise, you’re marketing. When you raise money for the local playground, you’re marketing. And yes, when you’re trying to grow your division at work, that’s marketing too. For a long time, during the days when marketing and advertising were the same thing, marketing was reserved for vice presidents with a budget. And now it’s for you. You’ve built something amazing. You have a living to make. Your boss wants more sales. That nonprofit you care about, an important one, needs to raise money. Your candidate is polling poorly. You wish to have the boss to approve your project . . .
Why isn’t it working? If creating is the point, if writing and painting and building are so fun, why do we even care if we’re found, recognized, published, broadcast, or otherwise commercialized? Marketing is the act of making change happen. Making is insufficient. You haven’t made an impact until you’ve changed someone. Changed demand for your product. You can do this by creating and then relieving tension. By establishing cultural norms. By seeing status roles and helping to change them (or maintain them). But first, you wish to have to see it. Then you wish to have to select to work with human beings to help them find what they’re looking for. The community around you isn’t what it could be. The people you care about aren’t achieving everything they hoped. Your politician needs more votes, your work isn’t fulfilling, your customers are frustrated . . . If you see a way to make things better, you now have a marketing problem. Filmmaker and showrunner Brian Koppelman uses the expression “the answer to a movie,” as if a movie is a problem. But, of course, it is. It’s the problem of unlocking the viewer (or the producer, or the actor, or the director). To gain enrollment. To have them let you in. To get a chance to tell your story, and then, even better, to have that story make an impact. Just as a movie is a problem, so is the story of your marketing. It has to resonate with the listener, to tell them something they’ve been waiting to hear, something they’re open to believing. It has to invite them on a journey where a change might happen. And then, if you’ve opened all those doors, it has to solve the problem, to deliver on the promise. You have a marketing question, and it’s imaginable that there’s an answer. But only if you look for it. They say that the best way to complain is to make things better. It’s difficult to do that if You’ll’t spread the word, can’t share those ideas, or can’t get paid for the work you do. The first step on the path to make things better is to make better things. But better isn’t only up to you. Better can’t happen in a vacuum. Better is the change we see when the market embraces what we’re offering. Better is what happens when the culture absorbs our work and improves. Better is when we make the dreams of those we serve come true. Marketers make things better by making change happen. Sharing your path to better is called marketing, and You’ll do it. We all can. A game-changing approach to marketing, sales, and advertising, by bestselling author and renowned business thinker Seth GodinSeth Godin has taught and inspired millions of entrepreneurs, marketers, leaders, and fans from all walks of life, via his blog, online courses, lectures, and bestselling books. He is the inventor of countless ideas and phrases that have made their way into mainstream business language, from Permission Marketing to Purple Cow to Tribes to The Dip. 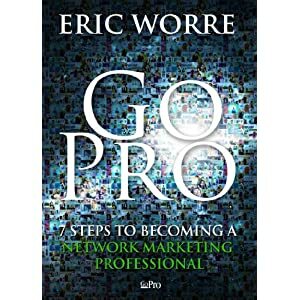 Now, for the first time, Godin offers the core of his marketing wisdom in one compact, accessible, and timeless package.This is Marketing shows you how to do work you’re proud of, whether you’re a tech startup founder, a small business owner, or an executive at a large corporation. Great marketers don’t use consumers to solve their company’s problem; they use marketing to solve other people’s problems. Their tactics rely on empathy, connection, and emotional labor instead of attention-stealing ads and spammy email funnels. 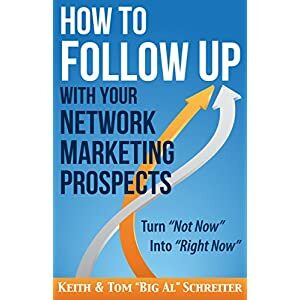 When done right, marketing seeks to make change in the world.No matter what your product or service, this book will teach you how to reframe how it’s presented to the world, in order to meaningfully connect with the people who want it. Seth employs his signature blend of insight, statement, and memorable examples to teach you:* How to build trust and permission with your target market. * The art of positioning–deciding not only who it’s for, but who it’s not for. * Why the best way to achieve your marketing goals is to help others become who they want to be. * Why the old approaches to advertising and branding no longer work. * The surprising role of tension in any decision to buy (or not). * How marketing is at its core about the stories we tell ourselves about our social status.You’ll do work that matters for people who care. 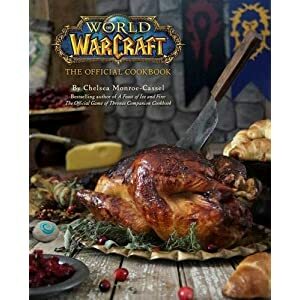 This book shows you the way.